Quantitative Dengue Test: Is it Practical for Clinical Practice? Wiwanitkit, V. (2011). Quantitative Dengue Test: Is it Practical for Clinical Practice?. Iranian Journal of Pathology, 6(3), 164-164. Viroj Wiwanitkit. "Quantitative Dengue Test: Is it Practical for Clinical Practice?". 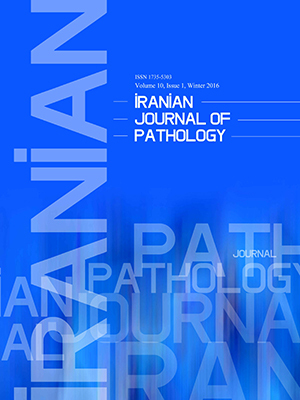 Iranian Journal of Pathology, 6, 3, 2011, 164-164. Wiwanitkit, V. (2011). 'Quantitative Dengue Test: Is it Practical for Clinical Practice? ', Iranian Journal of Pathology, 6(3), pp. 164-164. Wiwanitkit, V. Quantitative Dengue Test: Is it Practical for Clinical Practice?. Iranian Journal of Pathology, 2011; 6(3): 164-164. Editor, dengue is an important tropical infection. This is a mosquito borne disease. I got a question whether the use of new quantitative dengue test was practical for clinical practice. Indeed, the new quantitative dengue test is usually PCR based diagnostic tool (1). It is widely mentioned for usefulness in diagnosis. It is no doubt that it might be applicable for transfusion medine and blood banking (1 – 2). However, it might not be superior to the simple serotype investigation by antibody test. The possible reasons include 1) although the new quantitative dengue test is helpful for early detection in case with low level of viremia however the patient in this stage has no fever and never visit to the physician. In addition, there is no recommendation for routine screening, 2) although the quantitative test can be helpful for serological classification this can be performed by simple serological test. In addition, the serotype is not generally determined. In endemic area, it is useful for prevention, planning for disease control, not the treatment. There is no difference in fluid therapy protocol in different serotype infections and 3) quantitative test is not useful in following up since there is no use of antiviral treatment in dengue and the dengue viremia has no relationship to outcome. The parameters that relate to outcome are hematocrit and platelet count. Lindholm PF, Annen K, Ramsey G. Approaches to Minimize Infection Risk in Blood Banking and Transfusion Practice. Infect Disord Drug Targets. 2010 Aug 10. Kao CL, King CC, Chao DY, Wu HL, Chang GJ. Laboratory diagnosis of dengue virus infection: current and future perspectives in clinical diagnosis and public health. J Microbiol Immunol Infect. 2005 Feb,38(1):5-16.